When you seek for a project to be collaboratively governed, there is an initial contradiction. Those who start the project inherently have more information and usually more power. In a hierarchical environment, removing yourself from the power role can be addressed by hiring someone(s) and “assigning” that power. But if you seek to cultivate a team where power and responsibility are genuinely distributed, hiring a team simply transfers hierarchical power and reinforces your authority to make that decision. I’ve been on the founding team of at least 4 residential communities (most recently, the Embassy SF, the Red Victorian, and La Choza del Mundo) that involve self-management and self-governance, all including business operations requiring financial and operational accountability. I’ve also joined large collectives such as Enspiral as a non-founding member, and been a groupie and friend within numerous other teams exploring these ideas. The dynamics of each community are unique, but there are patterns that emerge in bringing about participatory governance. Already have a self-governing team? Even in effective self-governing and self-managing teams, there are people who have power, but that power is lumpy and consensual. Authority comes as a role, not as a job; it is temporal and consistently re-evaluated. This means that the question of distributing power or “installing self-governance” is not only relevant for initiatives seeking to transition, but also for healthy self-governing teams where power needs to be re-distributed on a regular basis (which, in a healthy self-governing team, is pretty much all the time). When the Red Victorian was first getting going, we spent 2 months in intense renovation mode with a small team. The goal at this point of the project wasn’t (primarily) building community, it was getting the renovations complete. It was more of a command and control environment, constant triaging, and on-the-fly decisions. As the community started to filter in, I realized the result of this process was that all the key information was in my head. The purpose of instigating the project had been to create a collaborative community — but I didn’t know how to get that key information out. I would hold meetings to disseminate information; partially in an attempt to demonstrate my earnestness, I would share absolutely everything I could think of, but the result looked more like shell-shock than engagement. I was railroading people with information they didn’t know what to do with. I tried inviting people to take on responsibilities or lead projects. They often started with enthusiasm, but teams would lose steam when context, access or permission didn’t come readily enough. I was offering responsibility, but was a bottleneck for power. I felt trapped in a role I didn’t want, while others were trying to participate but couldn’t get a foothold. When existing power is concentrated, it’s difficult to distribute without reinforcing the existence of authority (a power differential) and your own role in that authority (being the source of that information). You have all this power, but you don’t want it! People ask questions, and you don’t want to simply give all the answers, but they don’t have the context that you do to answer it themselves. But if you give that context, you reinforce your power. Brain hurting yet? A few months later, I decided to try again. I consulted friends with experience, schemed a bunch of stuff on whiteboards, and together we designed a new process for self-governance that was going to be great. People joined teams, and we distributed responsibilities amongst those teams. We put in place regular meetings, accountability and communication channels, and held visioning sessions. Yet I was still the holder and enforcer of this structure. When I went away, the team expressed sentiments of frustration, abandonment, and lack of clarity. We had bureaucratically installed new processes, which enabled responsibility, but they understandably lacked sufficient context or lived experience with the project to be genuinely empowered, or to feel a sense of ownership. True consensual ownership is an evolutionary process, not something you install. In retrospect, I can see that the governance structures we not co-designed, the assignment of responsibility was not matched with development of power, and consent wasn’t sought regarding the extent to which individuals on the team were willing to take on ownership. If you try to outsource responsibility without power, you simply reinforce your authority. In non-hierarchical environments, healthy power is not something we can assign, it’s something that grows organically, supported and facilitated by the team around you. So what you want is to distribute responsibility with power. But, if you do that too fast, people will object, citing a lack of context, direction and leadership. (Power and responsibility distributed without context is perhaps better than some alternatives, but tends to take the group backwards, cause frustration and drop out, repetition of mistakes, resentment, and a sense of abandonment. Let’s presume the goal is to avoid this). On the other hand, if you distribute power too slowly, then you trend towards the problem above, of reinforcing authority. You also need people who are wiling to receive this power. Collaborative responsibility (“taking ownership”) requires that people opt in, that they consent to this responsibility. This requires context, or how could they know what they are consenting to. This also requires participation. In the example above, the structure I brought home to the Red Vic wasn’t co-created, it was presented. So, the goal is to distribute power and responsibility as fast as possible — but no faster. How fast? Distribute power as quickly as you can distribute context. Distribute power as quickly as you can distribute context, but not faster. Context is the synthesis of information and circumstances. It requires both transparency and participation. But people cannot participate without at least some amount of transparency (what to contribute to!). So let’s go over this. Distributing power requires distributing responsibility with consent and context. 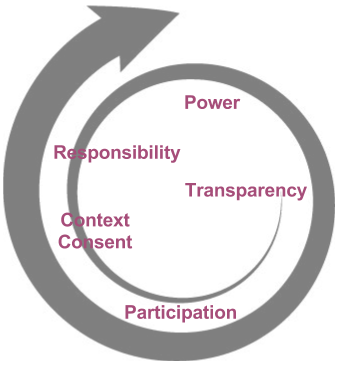 Consent and context are developed over time through participation, which is enabled by transparency. The engine of distributing power is transparency. Transparency provides the initial dynamic towards self-governance and distribution of power. Transparency motivates context, which enables responsibility, which creates more context. 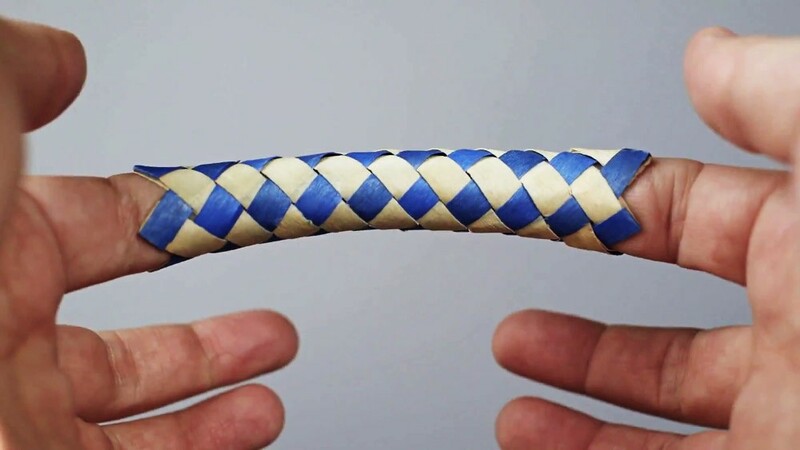 In the traditional structure vs. agency debate, you can think of yourself as the agent, and the systems this transparency enables, as the structure. Of course, this is reinforcing cycle, so once you have a system with shared responsibility and power, those structures will themselves become an engine of transparency. Because the systems are designed for participation, transparency gets self-reinforced. At some point there is a magical moment where, through careful cultivation, those with responsibility and context suddenly have an insight about the why and the how, and communicate that with clarity and leadership to the group. At this point they turn into power holders. 1. Know what you’re getting into, and set expectations: it will take time. there may be some mismatch for a while. There is an overhead to transparency, and a commitment to adding this step into the process. You believe the benefits are worth it. 2. Get buy in with a two way commitment. With initial power comes responsibility to commit to the process. Transparency will motivate inquiry, but only if people access it. Unfortunately, transparency is two way. You can operate transparently, but if no one knows you are doing so, it’s of no use. Understand what mechanisms and tools your team is willing to engage with. 3. Discuss and agree on a set of tools and the authoritative location(s) for accessing information. For example, in most of our teams, we use several tools, but Loomio is the agreed upon authoritative place to check for new discussions and decisions that need to be made. For some people it may be in person meetings. You don’t have to use technology, and never conflate the existence of the technology with the existence of cultural norms. Digital tools do increase the scope of potential participation, but human touch points are still important for most teams. With transparency people will start to ask questions. 4. Especially in the transition phase, provide context and reflect questions back to the team, rather than providing answers. 5. Look for opportunities to invite others to make proposals or take on a responsibility. Support people when they make mistakes. Make mistakes yourself! Express your opinion, but be wrong sometimes, and let people see that. Transparency is the key, but it’s also the least natural. It takes work and time — sometimes a lot of time — to put mechanisms in place to incorporate transparency into your workflow and group systems. Be patient. Take a lot of notes. People deciding how to execute tasks and which tasks to take on is the realm of self management. Self-management involves the self-determination of strategy and how to execute tasks, whereas self-governance represents the participatory development of the vision and direction of the organization or project. Self management builds an operational trust and rapport among a team. In a fractal-y way, self-management is the context you need to kick start the engine of collective governance. As you start to see people connect the dots and develop insights about the project, make time to engage with that. Like, stop whatever else you might have been doing, and discuss it. Dig into philosophical reflections and questions. Encourage them to share their thoughts with others through your existing communication channels. At a certain point, a new idea will feel mature enough to warrant discussion by the larger group. It’s not bad to discuss things “out of band” or one on one. This is an important part of the process of becoming comfortable with expressing ideas. It is bad if people only come to you out of band. 7. Encourage seeking the wisdom and expertise of others in the community. Going beyond engagement about tasks and deadlines, to the vision and purpose, is the phase change to collaborative governance. It’s important to “seal the deal” by formally incorporating new ideas into the DNA of the project using the community’s decision making process. The idea will likely evolve during the process of discussion — that’s the point. Put another way: if you truly want participatory governance, you have to let it reach the very bones of the organization, including its actual ownership and governing policies. This is no small feat. 8. When an appropriate idea emerges, your job is to ensure the idea is brought to completion through a formal adoption or decision making process, as designed by your community. Power is service, never a right. Power is the invitation to facilitate and surface the necessary information, ideas and exchanges to collectively come to an answer, not to give one. Distributing power is not about “handing it off” to other individuals. It is about creating an environment where answers can emerge from the group. It is about everyone having the invitation and agency to contribute to the answer (and then empowering a team to execute). Distributing power is not about “handing it off” to other individuals. It is about creating an environment where answers can emerge from the group. The first experience of collective power is a major milestone, and will generally motivate the loop to start again at other levels or in other areas. With that experience of power, people are disproportionately more likely to feel entitled to and begin to demand transparency — feeding the engine of your participatory process. A final note: collaborative governance is dynamic. It is not a single process to put in place, not something to “install” and walk away. It’s something to continuously cultivate, something that will always be evolving and changing with the members of your community.